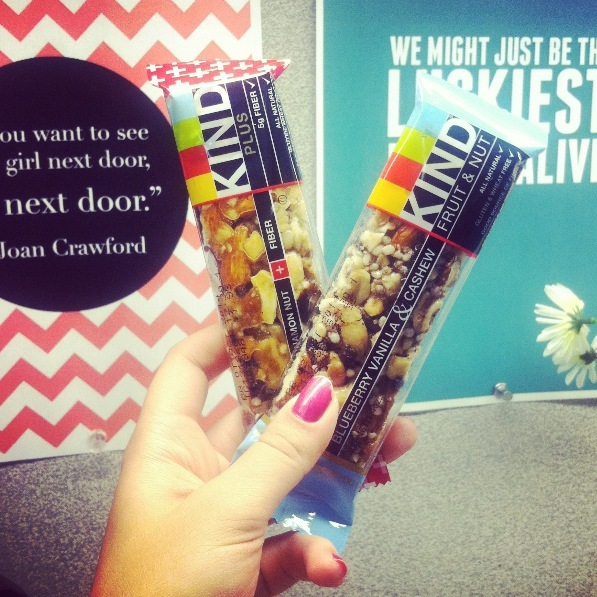 The best thing about KIND products? You can actually recognize all the ingredients on the back! The company is committed to using all-natural, whole nuts, fruits and whole grains. Not all of their products are gluten free, but many are. I picked these babies up and the company Starbucks. Trust me, if I could afford it, I’d buy a case! What are your favorite bars and snacks?